Mary Cremin is a curator, writer and art historian based in Dublin. She holds a degree in Art History and Geography from University College Cork and graduated with a Masters in Visual Art Practices from the Institute of Art, Design and Technology, Dublin. She is currently the Director, Void Gallery, Derry and is the Commissioner and Curator of the Irish Pavilion at the Venice Biennale, 2019 with artist Eva Rothschild. Prior to this she was the Programme Curator of Temple Bar Gallery + Studios and the Artistic Director of The Treeline Project with Oonagh Young. As part of Galway 2020, European Capital of Culture, she is the Visual Arts Programmer and is the curatorial consultant of Dublin City University Art Collection. She is a member of International Association of Curators of Contemporary Art. In 2015, she was Curator of TULCA Festival of Visual Art, Seachange, which included over 30 national and international artists. She has delivered large scale exhibitions and commissions such as Magnetism, Hazelwood Estate, Sligo, (2015), Richard Mosse, The Enclave, Irish Pavilion, Venice Biennale, (2013). Prior to this she was Project Curator at the Irish Museum of Modern Art. She worked on exhibitions such as Eileen Gray, Lynda Benglis, Francis Alÿs, Carlos Garaicoa, Romuald Hazoumè, Cyprien Gaillard, Gerard Byrne, Alice Maher and Garrett Phelan and has acted as editor/ assistant editor on IMMA publications and the multi-disciplinary publication Boulevard Magenta. Curated projects at IMMA include Into the Silence of the Night, IMMA, (2015), Sidney Nolan; Ned Kelly Series(2012-2013), Garrett Phelan, off site NEW FAITH LOVELSONG (2012), Conversations: Photography from the Bank of America Collection (2012). She has produced IMMA Summer Rising events (2016/2015/2014). 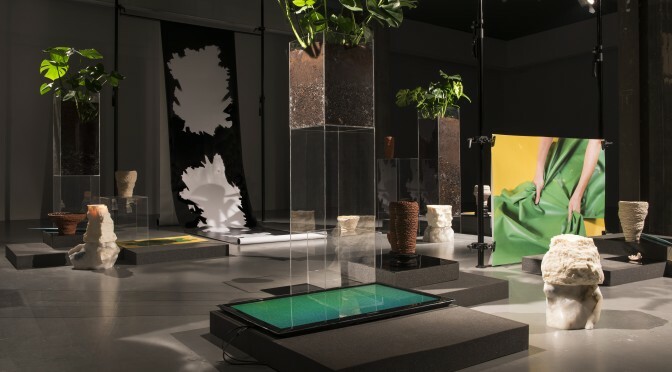 Independent Curatorial projects include Duality of Form: Caoimhe Kilfeather, Barbara Knezevic, Eleanor Duffin, Solstice Arts Centre (2016), Misadventure Seeks Rainy Afternoon: Sonia Shiel, Oonagh Young Gallery (2013/2014), Bring in the Noise, Ormston House & Limerick City Gallery (2013), LotusEater: Aoibheann Greenan, RAC (2013), More often Lost than Gained: Eleanor Duffin, RAC (2013), Lights, Camera, Action!, Temple Bar Gallery & Studios (2012), The Inhabitant: Martin Healy, Temple Bar Gallery & Studios (2011), Pilgrimage from Scattered Points: Luke Fowler, Temple Bar Gallery & Studios (2011), Dawning of an Aspect, Dublin (2009), Arise Ye Starvelings…, Pallas Contemporary Projects, Dublin (2008), Sonic Youth, Dublin and Wallace Gallery, New York, (2008), Sheltering Daydreams, New York (2007) as part of House Projects, Eoin McHugh: Drawings, Dublin (2007), From Where I Stand, Cork (2006). Co-curated projects include: spring film program (2013) Rubicon Gallery, Brussels, Here and There, Oonagh Young Gallery and Wallace Gallery, New York (2010/2011), Blasphemy at the Oonagh Young Gallery, Dublin and The Dock, Carrick on Shannon (2010). In 2016, she was awarded the Arts Council, Making Great Artwork Award with Oonagh Young for the Treelineine Project. She was awarded the curatorial residency in Temple Bar Gallery & Studio, Dublin for 2010/2011 and in 2013 at RAC and in Block T, Dublin.